The first day of the 2017 Turner Classic Movies Film Festival started for me as a reunion of sorts. After checking into my room, I headed toward the Hollywood Roosevelt Hotel and Club TCM to catch up with #TCMParty friends. Then it was a mad dash to the hotel pool for the annual #TCMParty “class photo.” The last two years I’ve missed the photo, but this year I was determined. After some confusion about the pool area being closed, I made it! I guess three’s a charm. Since I had the Classic Pass, I wasn’t able to attend the 50th anniversary screening of In the Heat of the Night (1967). 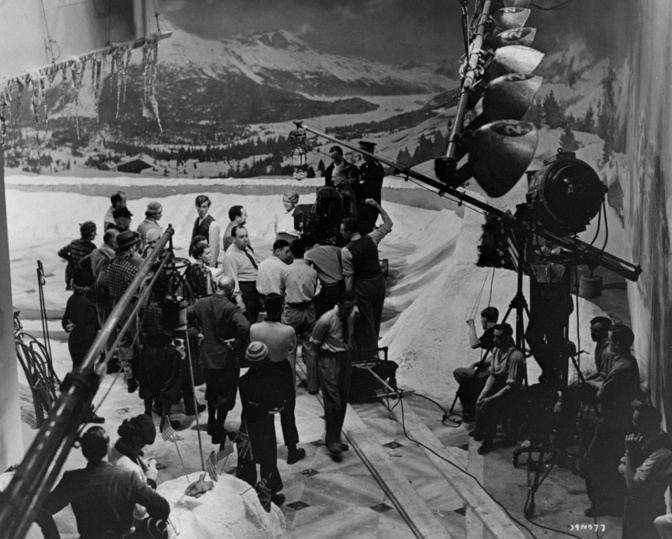 So my choices were Love Crazy (1941), Some like it Hot (1959), Jezebel (1938), the documentary Dawson City: Frozen in Time (2016), and the poolside screening of Willy Wonka and the Chocolate Factory (1971). For me, the choice was pretty easy. I decided on Love Crazy with William Powell and Myrna Loy at the Egyptian. Actress Dana Delaney introduced the film and she was excited to do so, being a big Powell/Loy fan. This movie was new to me and it was hilarious. 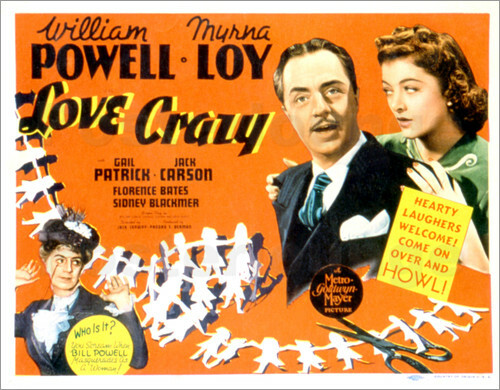 As always, Powell and Loy didn’t disappoint, but the movie featured great support from Gail Patrick, playing the other woman, of course, and Florence Bates, the mother-in-law from hell. And then there’s the always dependable Jack Carson on loan from Warner Bros. as the “other man.” This was a great pick to open my festival and a chance to appreciate the exceptional comic abilities of Powell and Loy, the perfect screen team. Next up was a choice between The Man Who Knew Too Much (1934), Harold and Maude (1971), Requiem for a Heavyweight (1962), and I’m All Right Jack (1959). Again, this was a pretty easy choice for me. 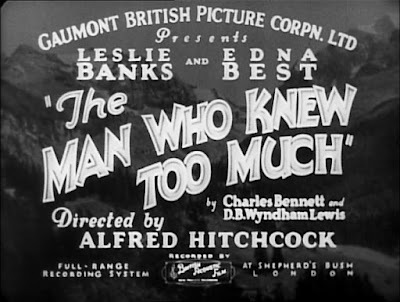 I’ve seen The Man Who Knew Too Much before, but the chance to see this early Hitchcock classic featuring a nitrate print, sealed the deal for me. Martin Scorsese introduced the film, which was a big surprise since no introduction was mentioned in the printed program. He was excited to be able to share the nitrate print of this film with us. 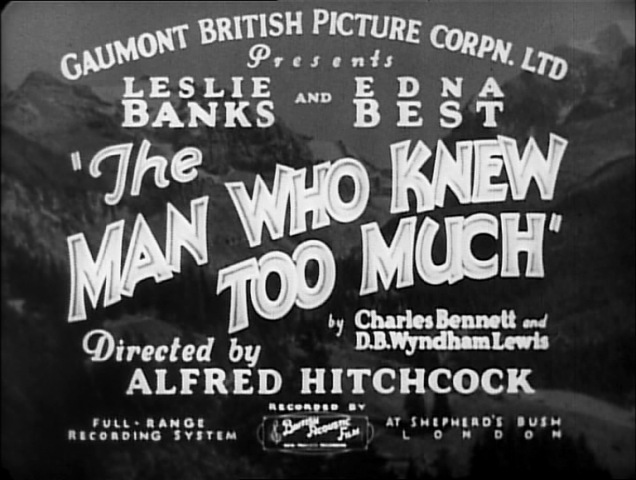 The Man Who Knew Too Much was also presented at the Egyptian (all the nitrate screenings were shown there) which made it really easy to just exit after Love Crazy and get on line for the Hitchcock classic! Nitrate prints boast a “luminous quality and higher contrast than the cellulose acetate film that replaced it,” but honestly, without a comparison, it was hard for me to notice any real difference. But it didn’t ruin my enjoyment of the film. Even though I prefer the remake to the original, the 1934 version has a lot to offer in the way of suspense. We also get to see Edna Best as a leading lady before she started playing character parts like Martha Huggins in The Ghost and Mrs. Muir (1947). Plus the way the villain is dispatched is amazingly cool and completely Hitchcockian! After that is was bedtime. Friday would be the first full day and the first films screened at 9 a.m. And my choices would be: Rafter Romance (1933), The Maltese Falcon (1941), Cry, The Beloved Country (1951), Beyond the Mouse, The 1930s Cartoons of UB Iwerks, and It’s a Mad, Mad, Mad, Mad World (1963). What film did I choose? What film would you choose?